The crowdfunding ecosystem has given us a few gems from time to time, but for the most part, we try to stay away from it. There’s simply too many horror stories. However, Anker, an established company well known in the electronics industry, has a new product up on Indiegogo, one that we think is actually pretty sweet. Made by Nebula, a branch of Anker, the device is called Capsule. It’s a compact pico projector, about the size of a soda can. While pico projectors aren’t all that exciting, this one features a 360-degree speaker, Bluetooth connectivity, and comes with Android 7.0+ out of the box. It’s a Smart Bluetooth video projector, to sum it up nicely. 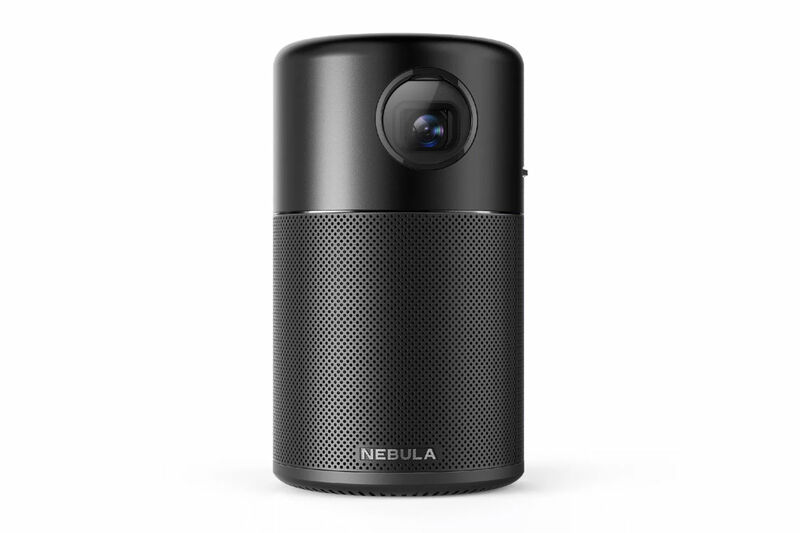 According to the Indiegogo listing, “Nebula Capsule delivers up to 2.5 hours of continuous video or 40 hours of non-stop music on a single charge. That’s quite a bit of music bumping or video watching. Additionally, Capsule has Quick Charging equipped, meaning it charges quickly once depleted. With Android “Nougat” installed, you simply download your apps, project them, or utilize WiFi connectivity, HDMI input, and USB OTG to connect to virtually any device to display whatever you want. For pricing, all of the cheap early bird specials are gone, but there are still perks available that get you a discount. As of right now, the least expensive is $249, which is 28% off the final price. Shipments are expected to go out in December and it looks like they’re shooting for Christmas time. Anker set a goal of $50,000, but backers have already shot way past that with the project sitting at around $140K at this moment. Watch the video below, then follow the link to Indiegogo to learn more.